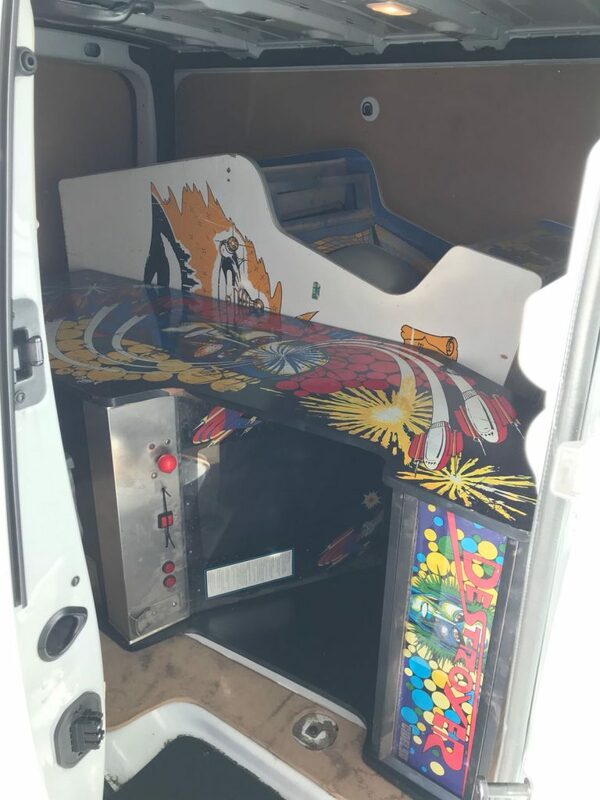 Search of the spanish arcade – A.R.C.A.D.E. 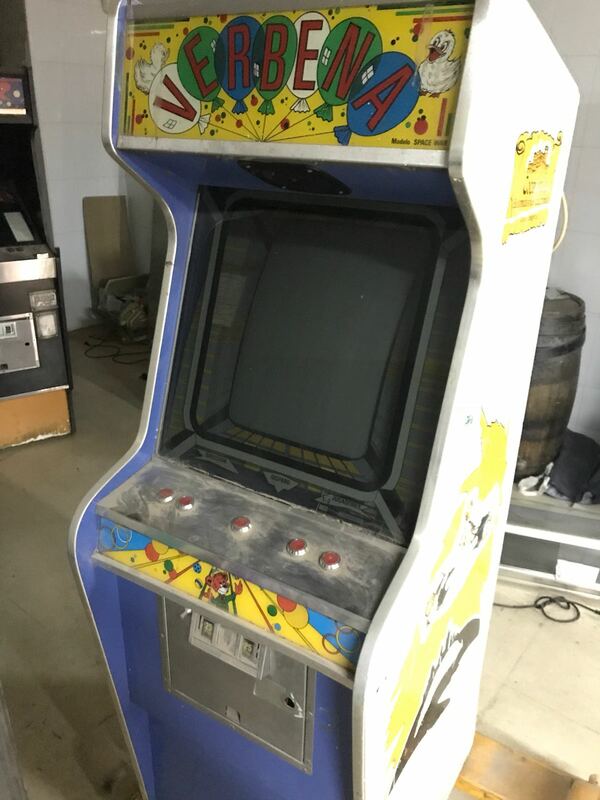 Last Friday, May 11th, two of our associates went in search of the Spanish Arcade, the first videogame developed and commercialized in Spain. Its name is “Destroyer”, a video game by the company EFO.S.A, manufactured by the company Playmatic and marketed by CIDELSA, which is the union between both companies. After the talk, several members got together to chat about arcades. 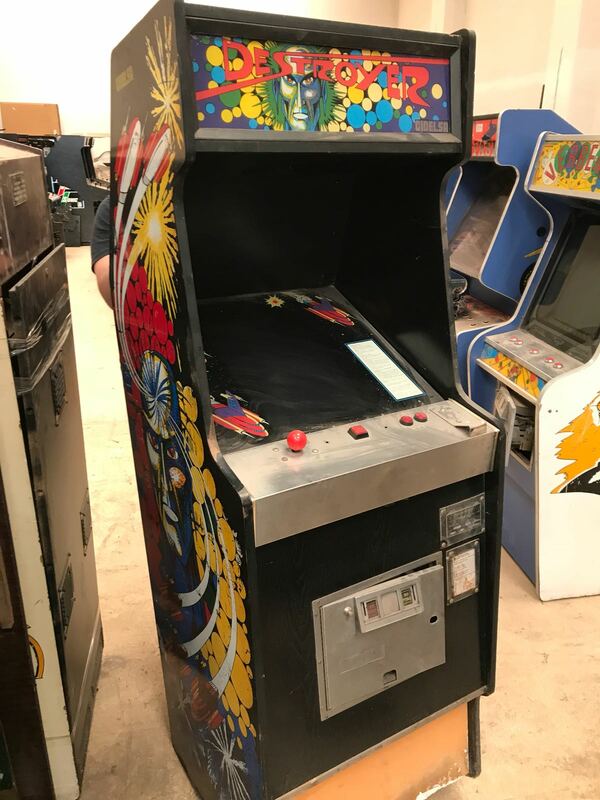 Eduardo Cruz expressed his willingness to buy the “Destroyer” arcade if it appeared. Our partner Paco, alias Chipywinie, told him he knew someone who had one and would be willing to sell it. After talking to the person, he agreed to sell it and without thinking twice they rented a van and both went to Castelló. They left Barcelona at 10:00 in the morning and arrived at the warehouse at lunchtime. There was the machine, waiting for someone to give it back the importance it had in the early 1980s. Regardless of the state, they loaded into the van. 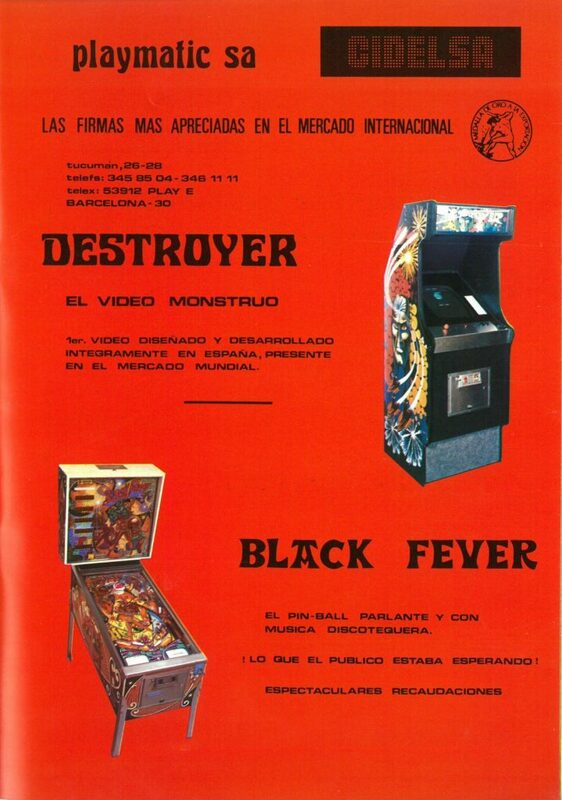 Along with it, there was also the arcade game “Verbena”, the Spanish version of the Sega game “Carnival”. Before travelling back to the headquarters of our association, they stopped for lunch at a nearby bar-restaurant. Both Paco and Eduardo were surprised by a sandwich called “Oriolet”, with foie gras, loin, cheese, egg and mayonnaise. They asked about the name of the sandwich. The waiter told them that they call it Oriolet in honor of a customer who eats it every day for breakfast. Already on the road to Barcelona, they made a call to see who could help unload these two machines full of history. Jordi35, Pere, alias Rockman, and Óscar Nájera, alias Osquilla, were waiting for them at the association’s premises. At 19:15, they arrived. We shook hands, hugged each other and congratulated Paco and Eduardo for such a feat. Once inside the premises, both machines were thoroughly cleaned. Now it’s time to check the monitors and electronics before starting them up.